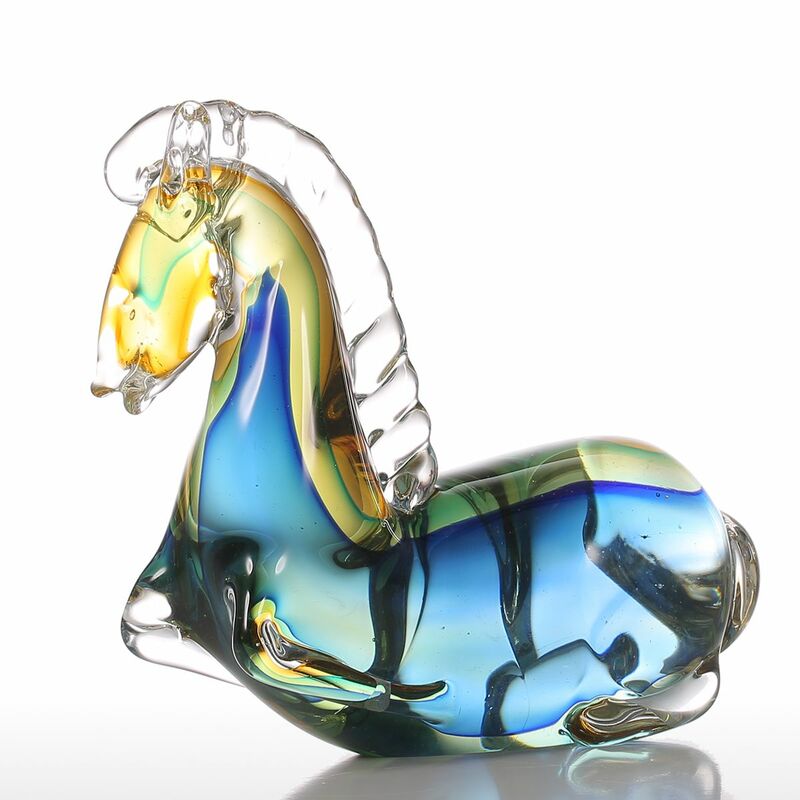 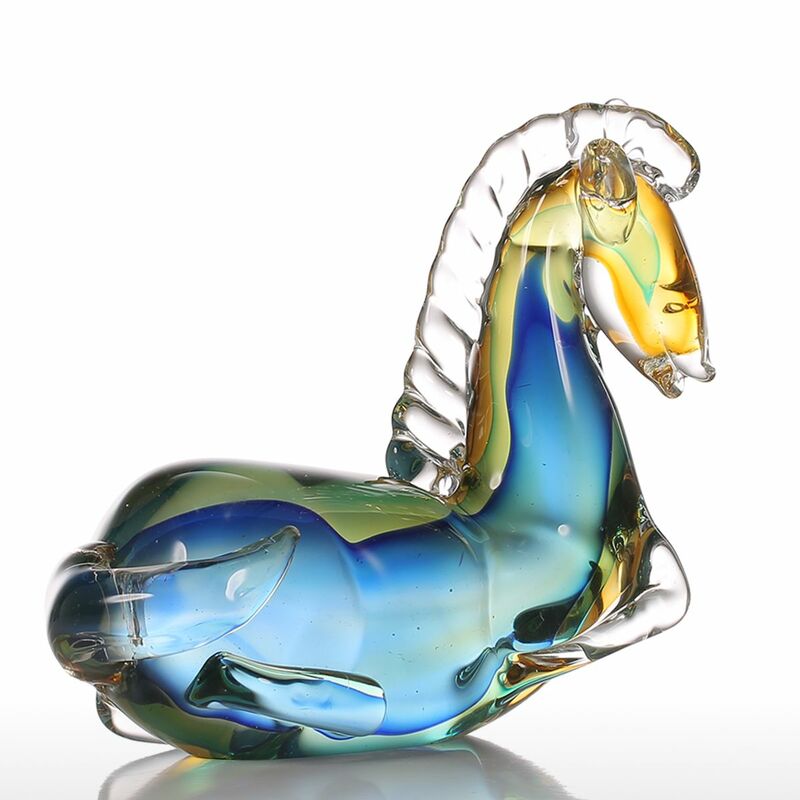 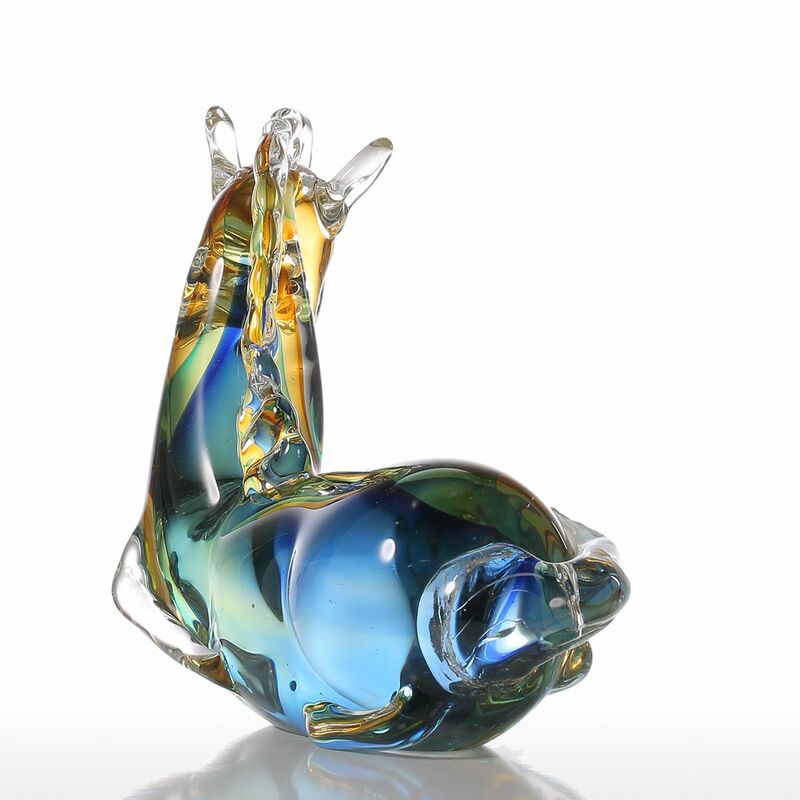 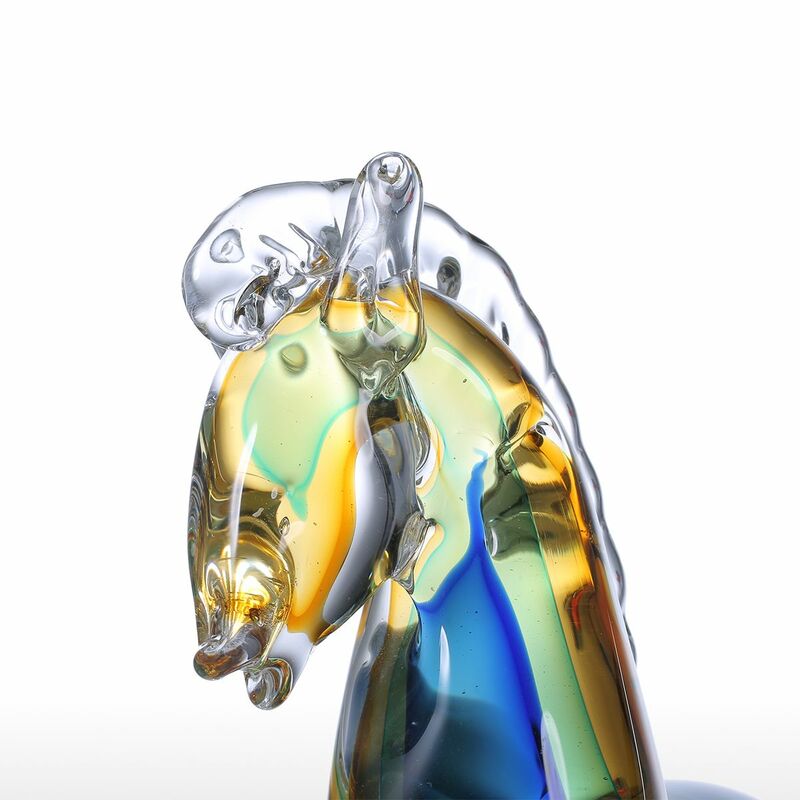 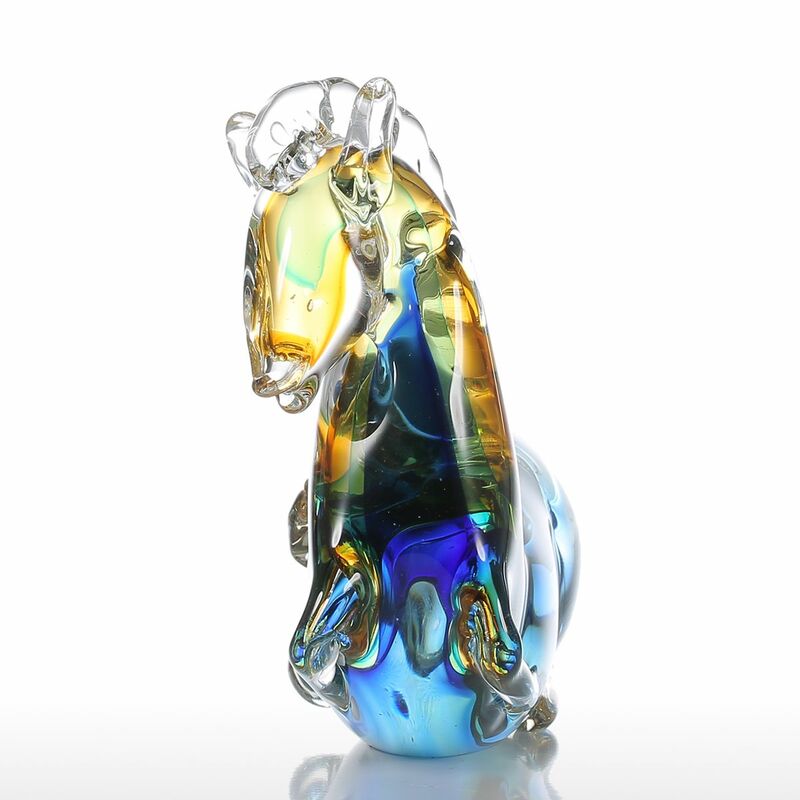 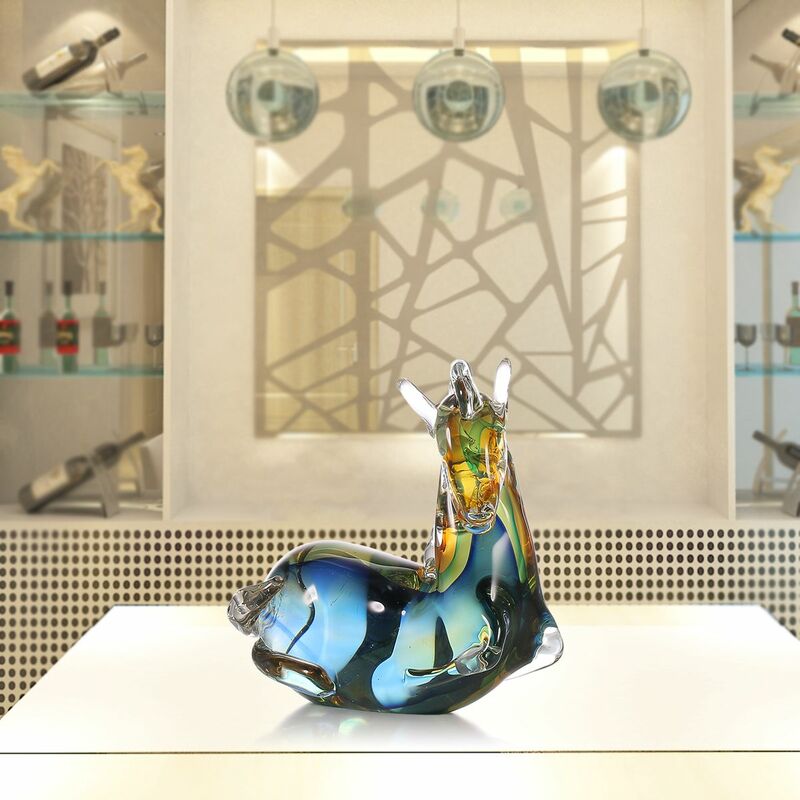 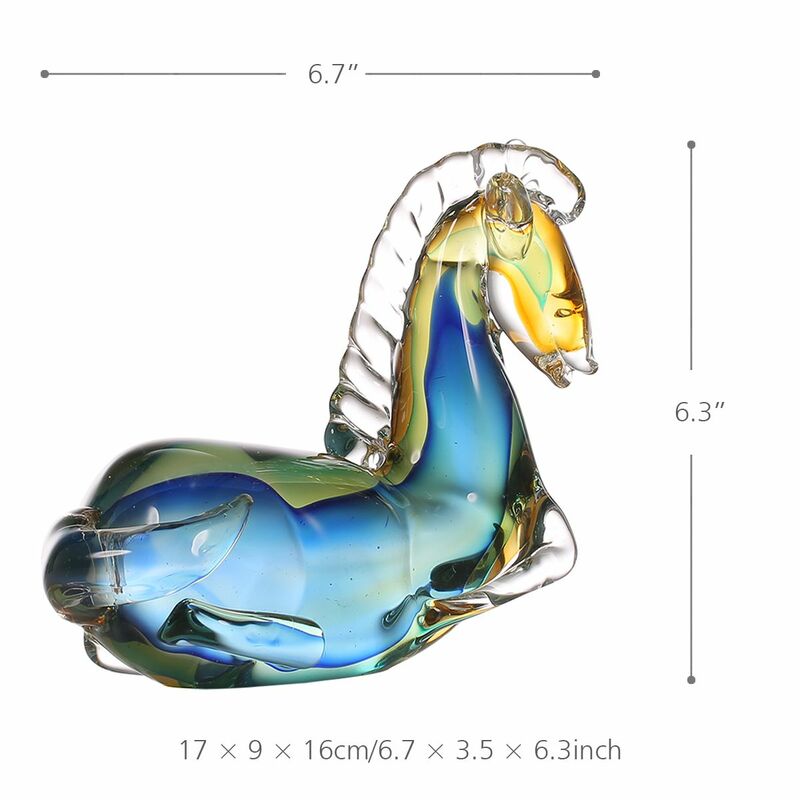 This fantastic blue glass horse has elegant style, delicate details and clear color layers, charmingly adorable. 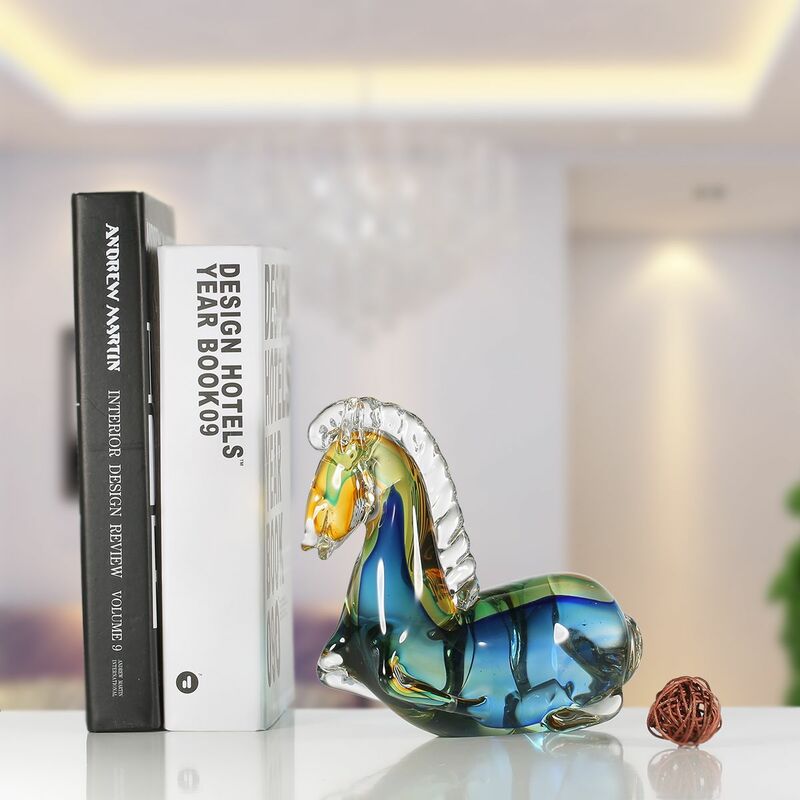 Whether it is placed in the study room, living room, office, or as a gift for someone, it is a very suitable ornament to increase fun, lights up life and play in hands. 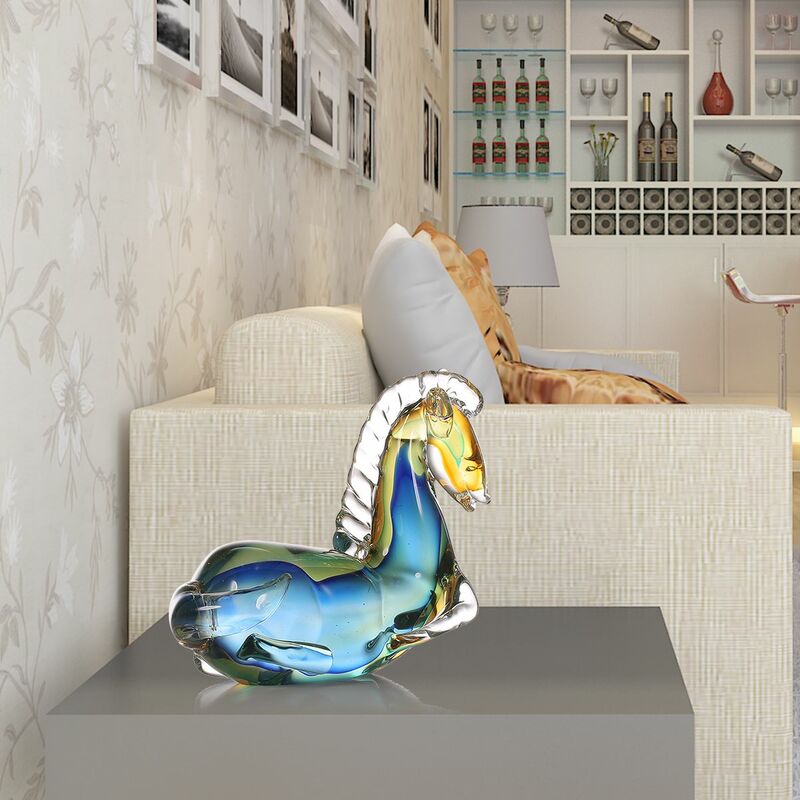 A small ornament for interior space to increase more fun, lights up life and paly in hands.